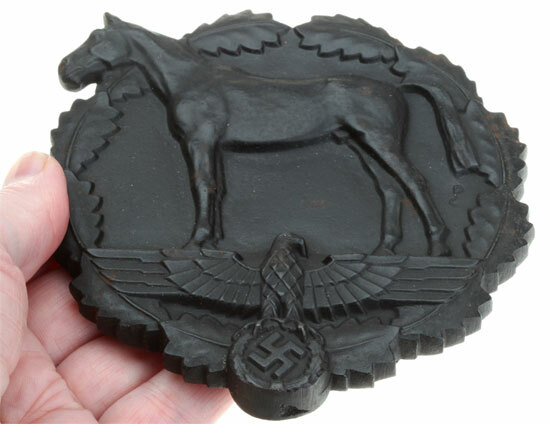 SA Horse Training Table Medal: A small sub-group of the SA, probably of members who served in the cavalry in WW1. 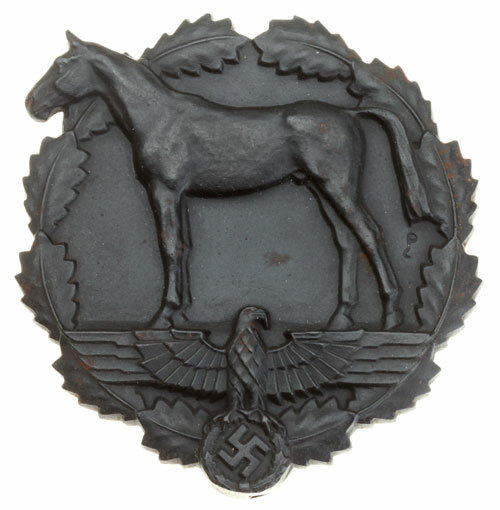 They trained young members of the NSRK to qualify for mounted service in the Army and SS. 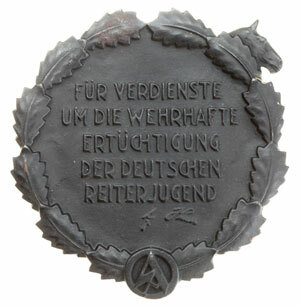 This possibly was an award only given to officer's and rich members who loaned their horses and stables for weekend training. Very little is known about it. Cast iron, magnetic, black brennlach finish, 11x12 cm, (approx 4.75 inches), 440 gm (.98 lbs), reverse reads: "Fur verdienste um die wehrhafte ertuchtigung der Deutschen reiter jugend" - (For faithful service on the pre-military training of young German riders - A Hitler), made by the large firm of Carl Poellath, scarce, a huge and impressive award, very light wear.